Mix the marinade and the pork mince in a bowl. Make sure that you mix them thoroughly and let them sit for 10-15 min. Form the pork mince mixture into small balls. Heat about 2 cups of oil in a wok over medium high heat. When the oil is hot, deep fry the meatballs until golden brown. To avoid overcrowding, deep fry them in batches. 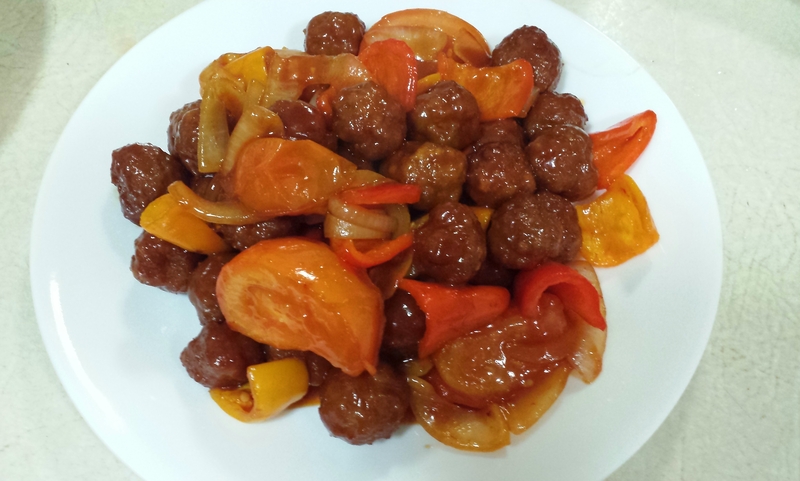 When you’re done deep frying the meatballs, drain the oil, leaving 1 tbs of oil in the wok. Stir in the sliced onions and fry until they are translucent. Add in the sliced capsicum and quartered tomatoes. Stir-fry until fragrant. Pour in the sauce and bring it to boil or cook the sauce until slightly thickened. 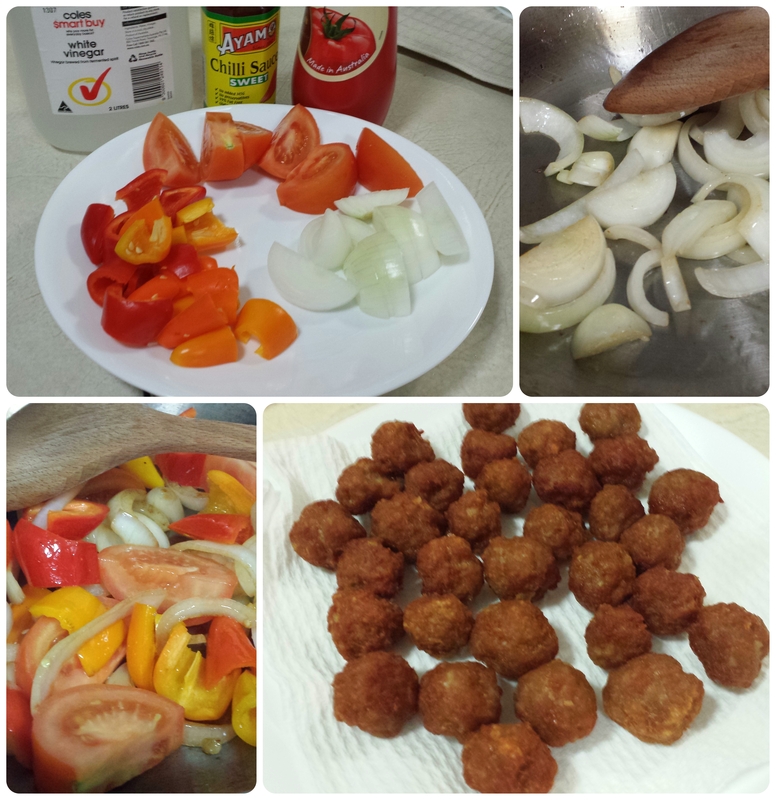 Add in the deep fried meatballs and stir them well to mix. Dish up and serve it warm with rice.